A Thing To Do Tomorrow: Things To Do Tomorrow in Washington, D.c. Need something to do today? Check out A Thing To Do Today in Washington, D.c.. Here's A Thing To Do Tomorrow in Washington, D.c.. Discover ideas for indoor and outdoor events and activities to see, do, visit and experience tomorrow for Washington, D.c.. Have an adventure. Have a lunchtime of glorious music. 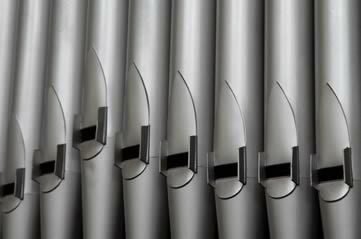 Seven thousand pipes are attached to the organ at the National City Christian Church ( at 5 Thomas Circle NW in Washington DC) - and on Fridays, they're fired up for a free lunchtime concert. Check the schedule (occasionally other instruments are substituted) and turn up for 12.15pm to listen to glorious classical music in your lunch hour. A Thing To Do Tomorrow generates things to do and places to go tomorrow, online and offline, this spring, for Washington, D.c. and beyond - whether you're visiting Washington, D.c. or a Washington, D.c. resident. To see another thing to do, just reload the page. Find out more about the site, or for comments, suggestions, corrections, donations, or just to say hi, email john@athingtodotoday.com. Or check out social media @athingtodo.